“Currently, we use ionosondes of vertical and oblique sounding, a coherent radar, and incoherent scatter radars. 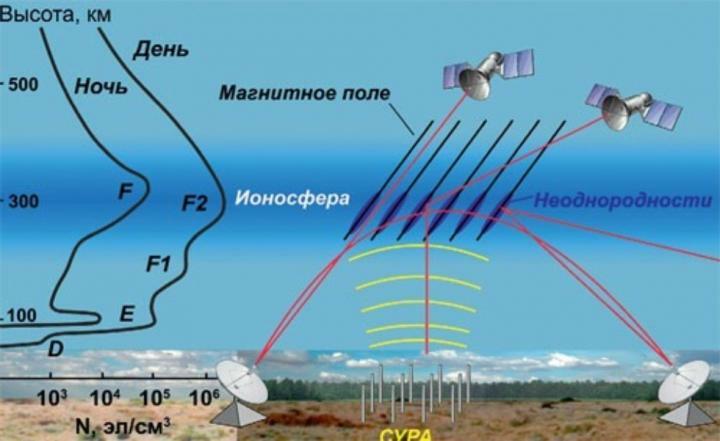 Furthermore, ionosphere sounding is also performed by signals of low orbit and high orbit Earth satellites. Recently, satellite methods of artificial plasma disturbance analysis have become more and more prominent; they help study the properties of both the excited and external parts of ionosphere, and even parts of ionosphere which magnetically conjugate to the heaters’ location.